Tully’s 2 new Dachshund brothers! There is no nicer smell in the world than puppy scent. Dr. Jason’s home is full of “eau de dachshund” starting this week, as our daughters each have a new long-haired doxie puppy! Check out our instagram feed @PandosyVet for a stream of gratuitous puppy pictures - we just can’t help ourselves! Our daughters have been working at the clinic and saving up for all the puppy essentials, from bowls to leashes to crates. If you are bringing a puppy home soon, check out our “bringing home a puppy” video series that we shot when we brought Tully home. Pandosy Vet “New Puppy” How To Videos! 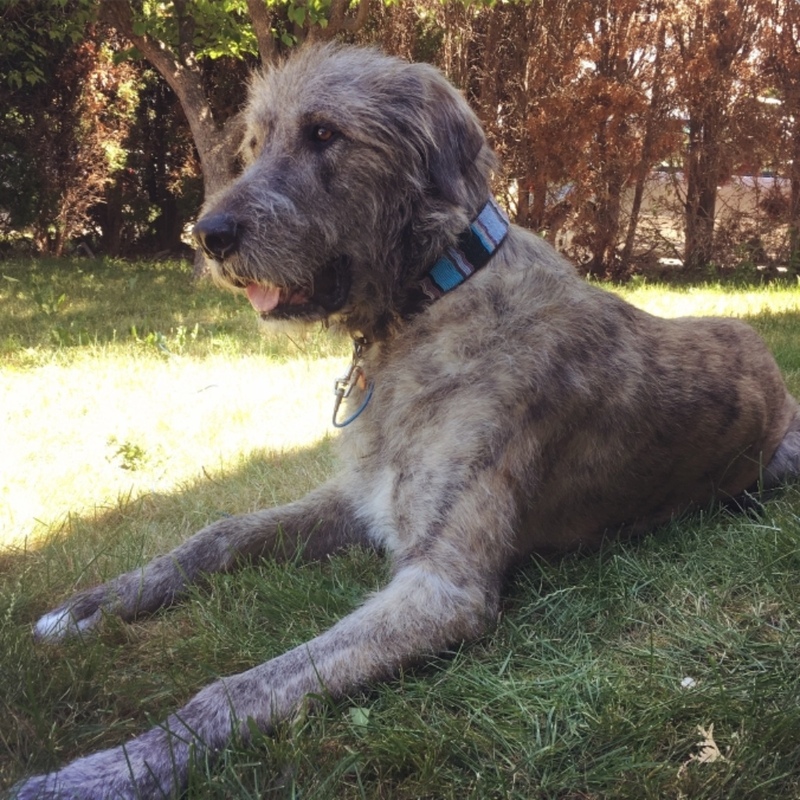 Speaking of the big lug, our Irish Wolfhound Tully is still enjoying life. His bone cancer is still on hold, thanks to the radiation therapy he had back in the fall, Chinese herbs and conventional meds. Unfortunately, he broke his leg right across the tumour site a couple of weeks ago, so we are working with our chiropractor Dr. Pam and a pain management specialist to make him as comfortable as possible. Tully is such a bright spirit, he’s still delighted to go on walks and observe his two new little brothers at play.